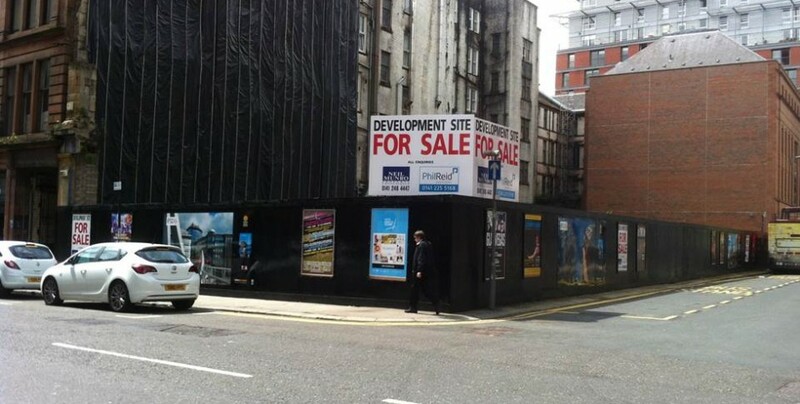 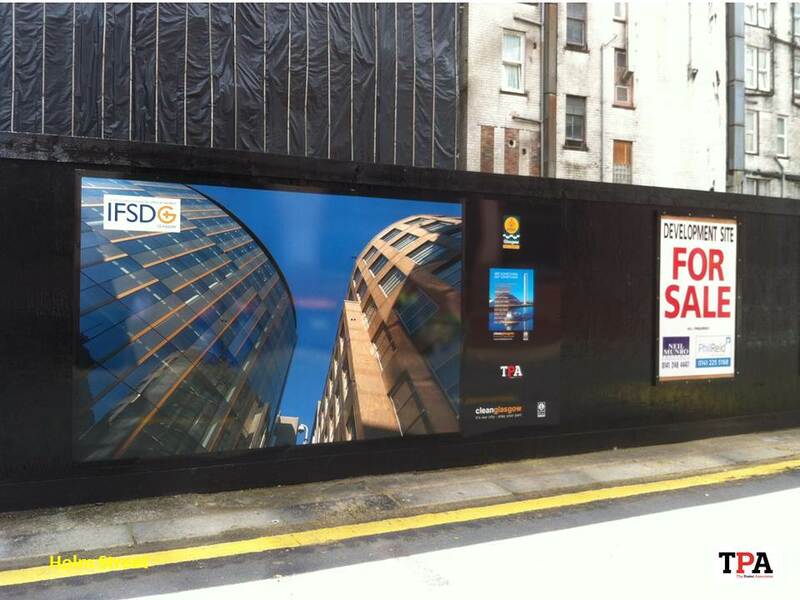 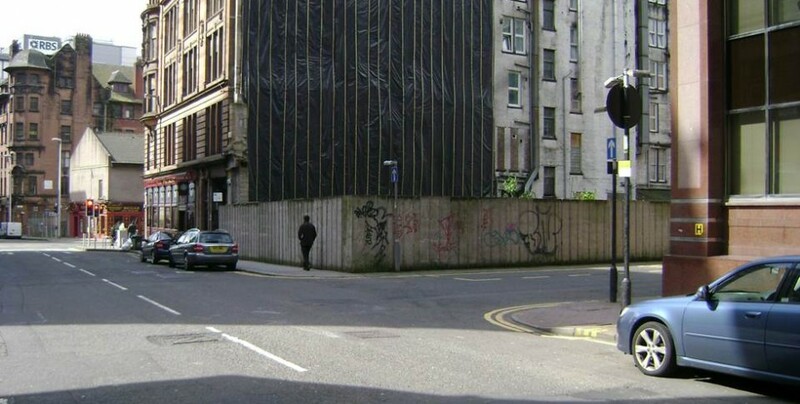 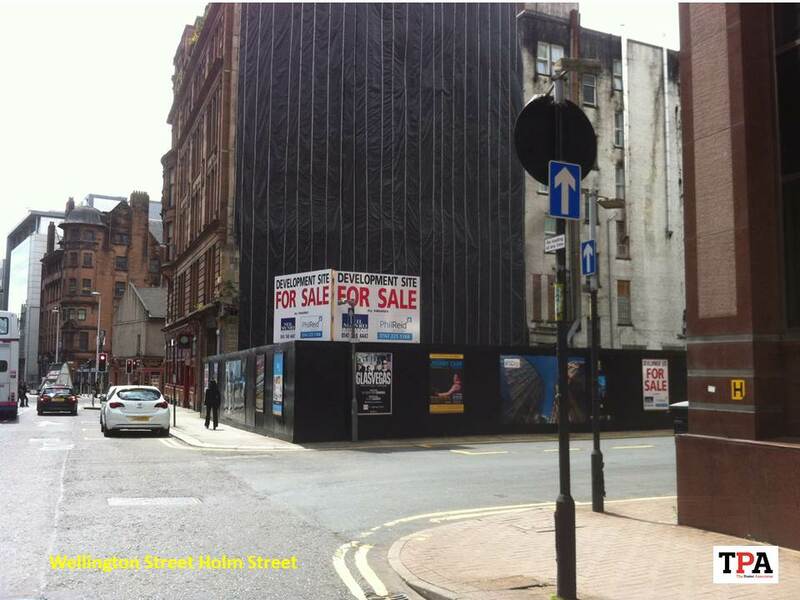 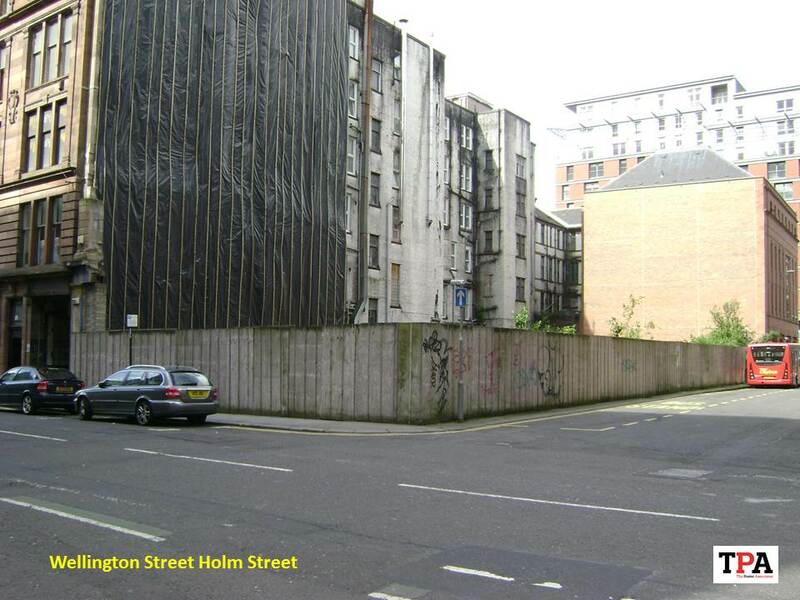 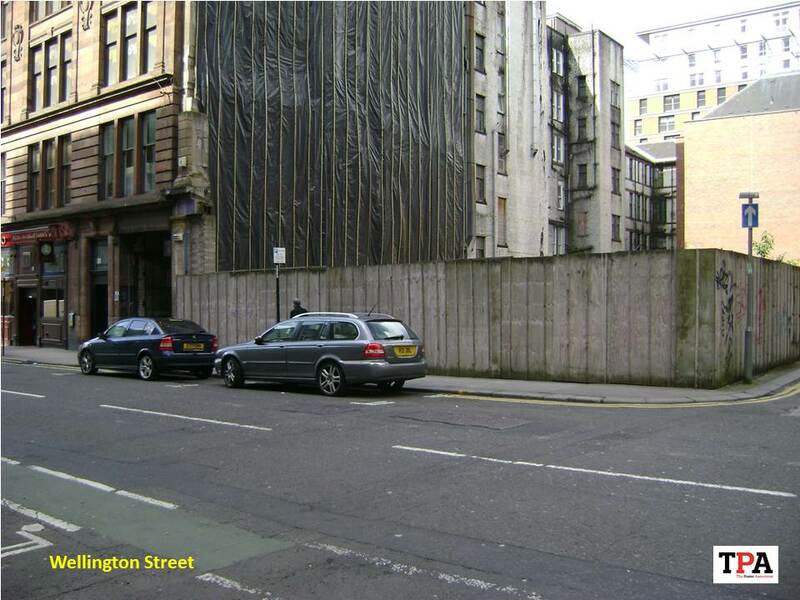 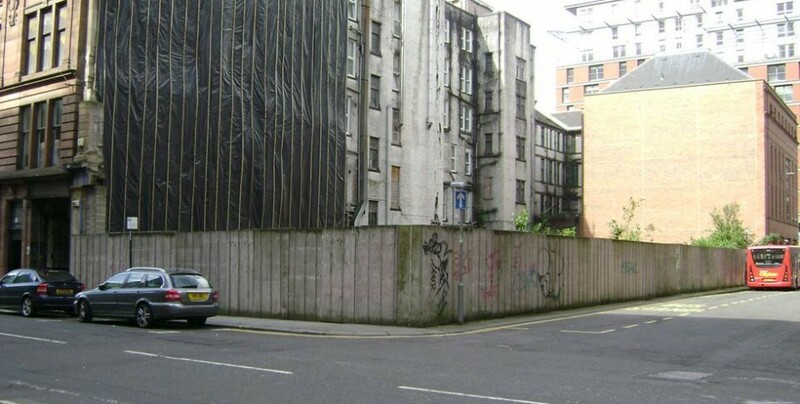 Superb development site in Glasgow’s International Financial Services District. 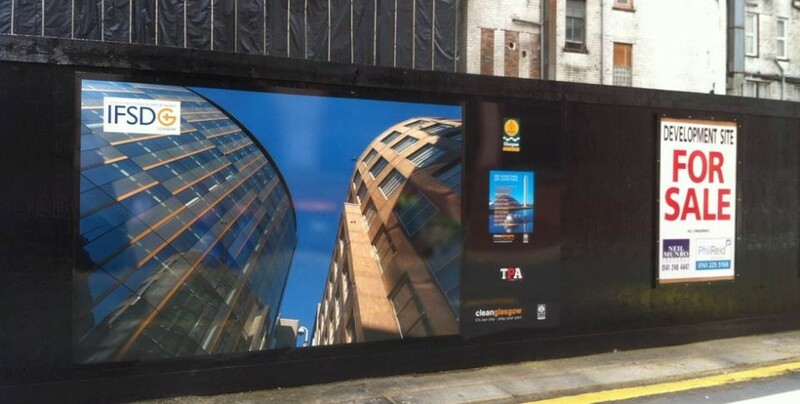 TPA enhance by repairing and replacing sections of the hoarding, introducing more prominent site information signage and constantly changing local adverts with the aim of raising the sites profile, generating interest and increasing enquiry levels. 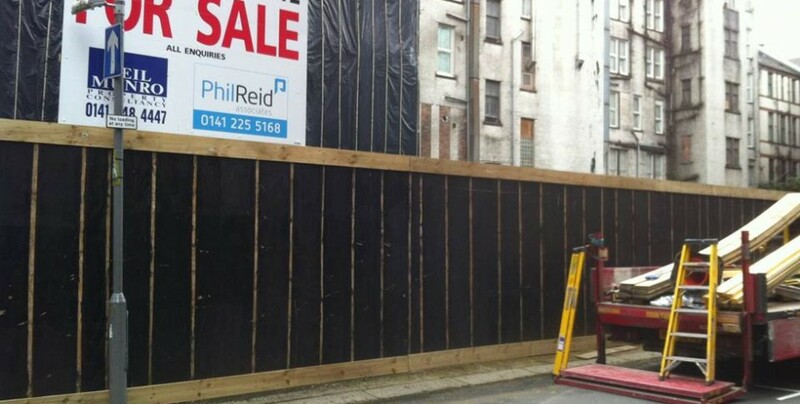 TPA’s ongoing duty of care ensures the site is maintained on an ongoing basis and the entire service is free. 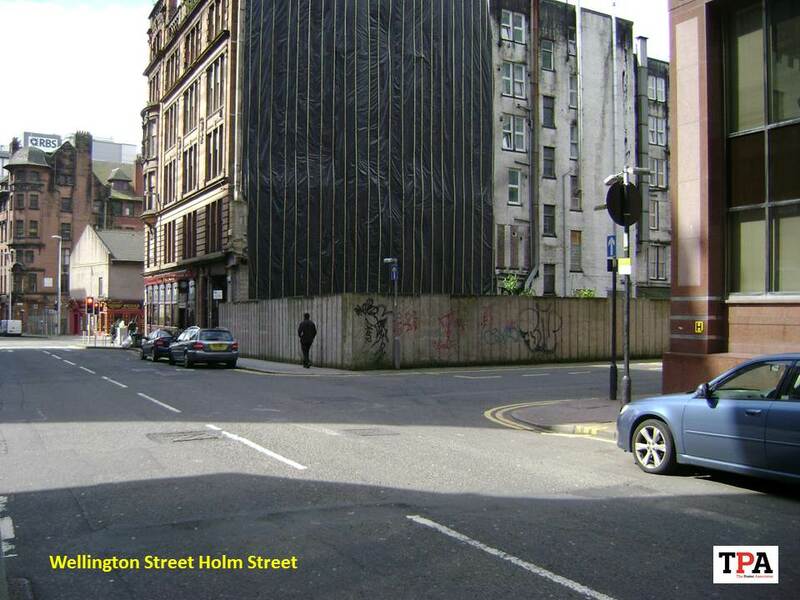 TPA and St Vincent Street. 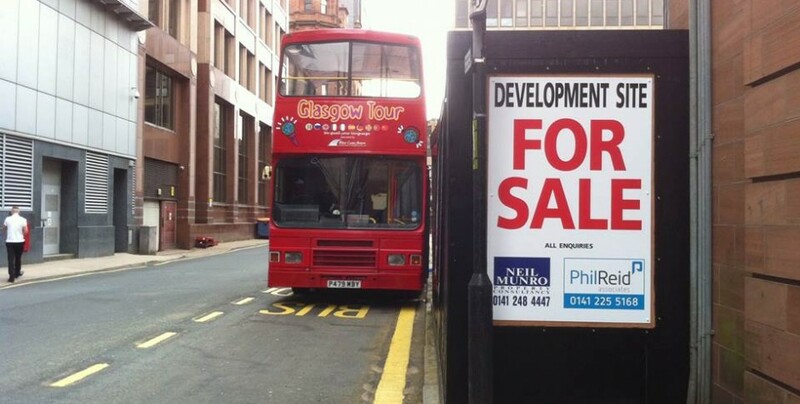 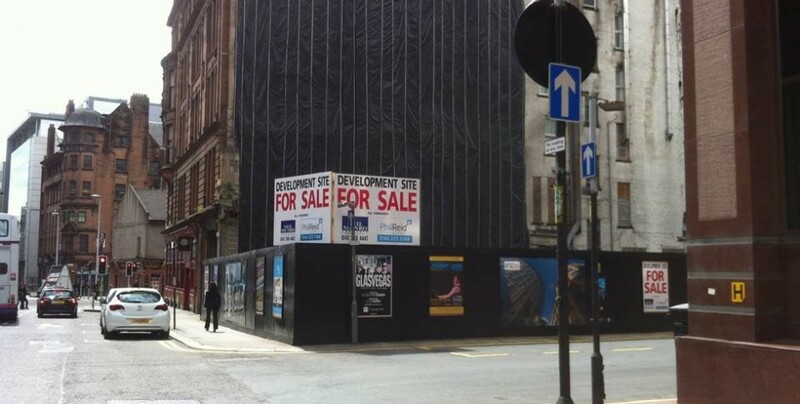 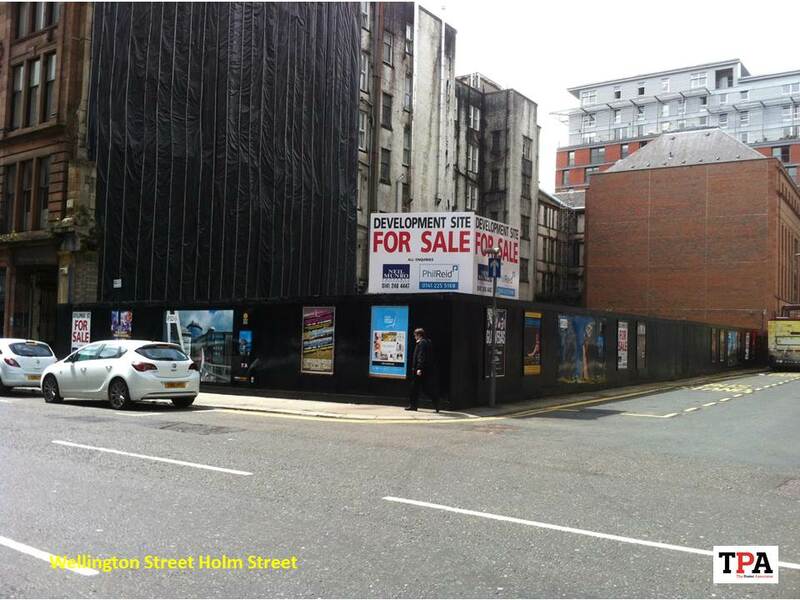 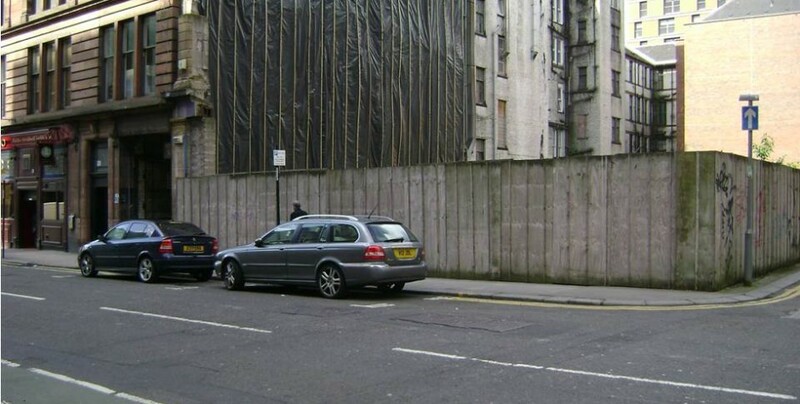 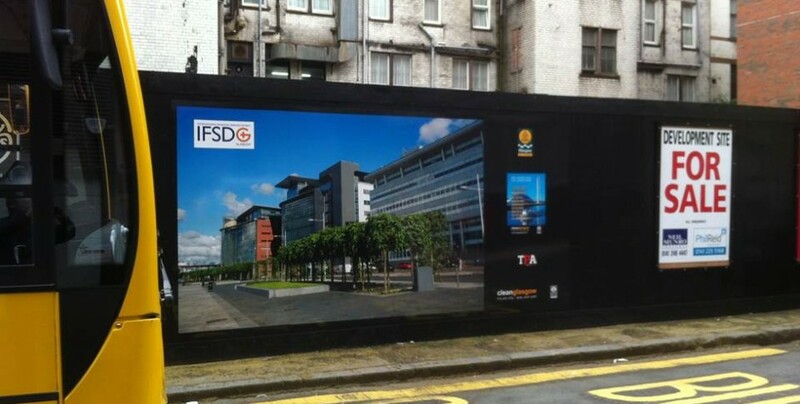 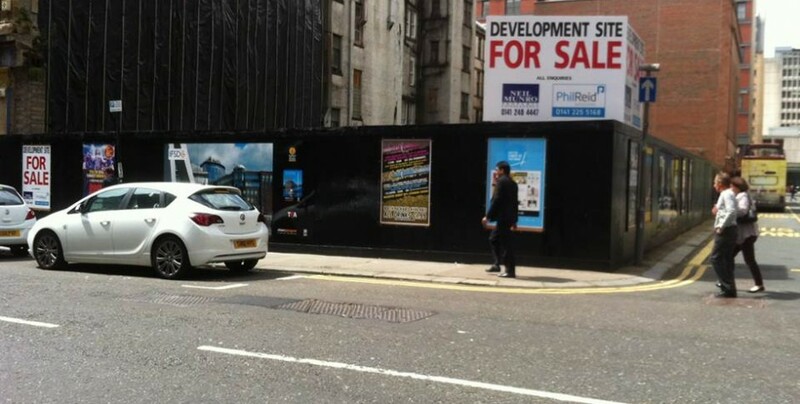 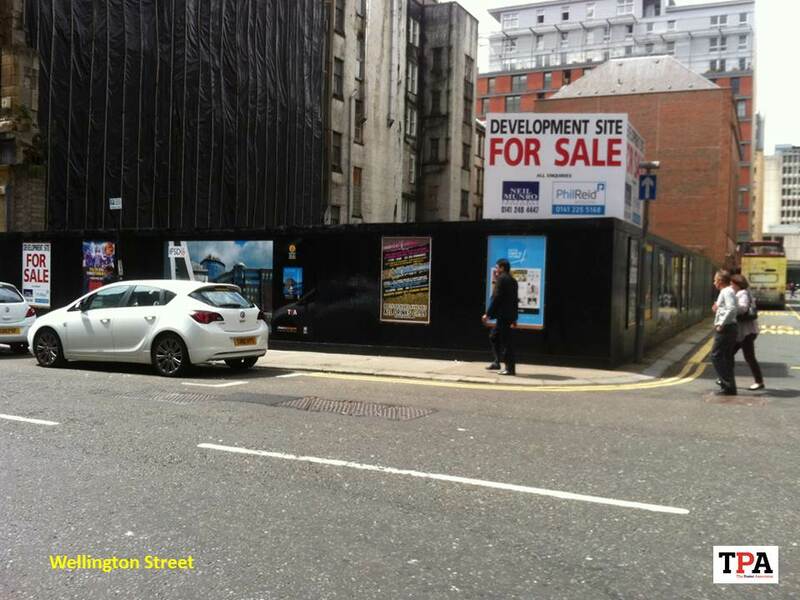 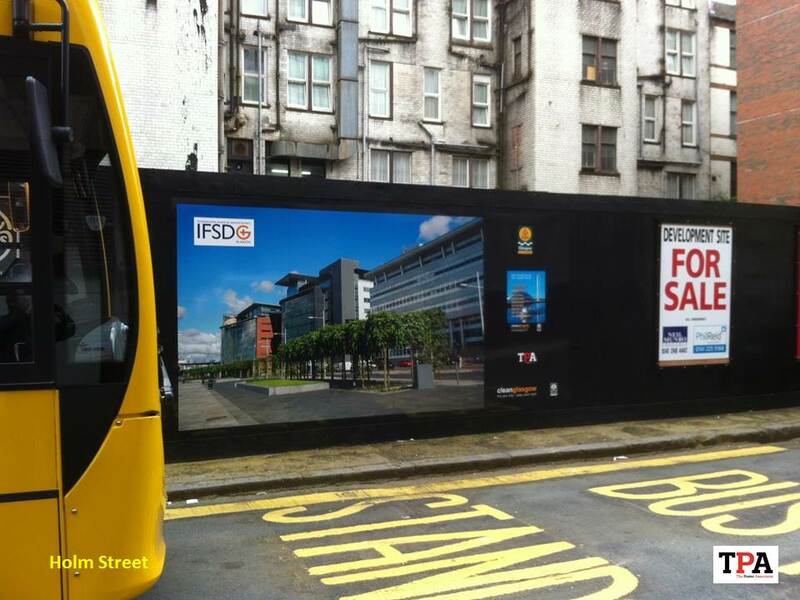 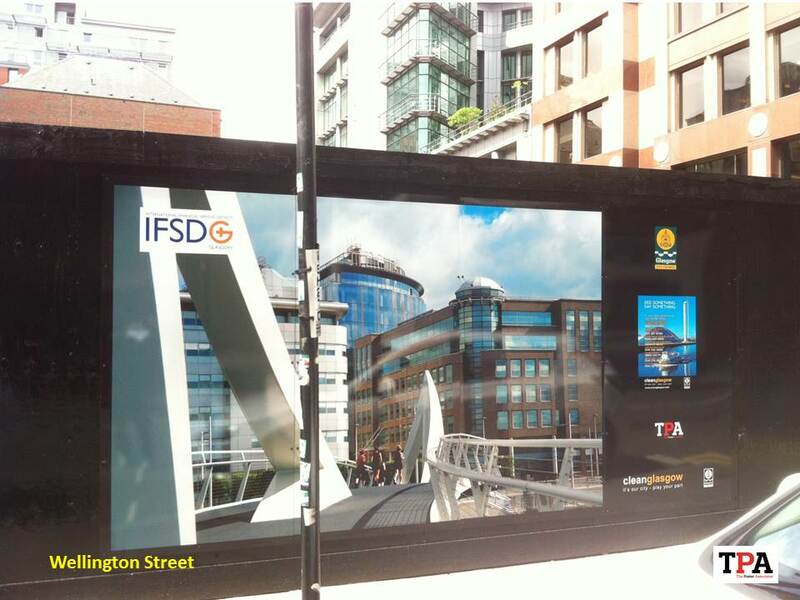 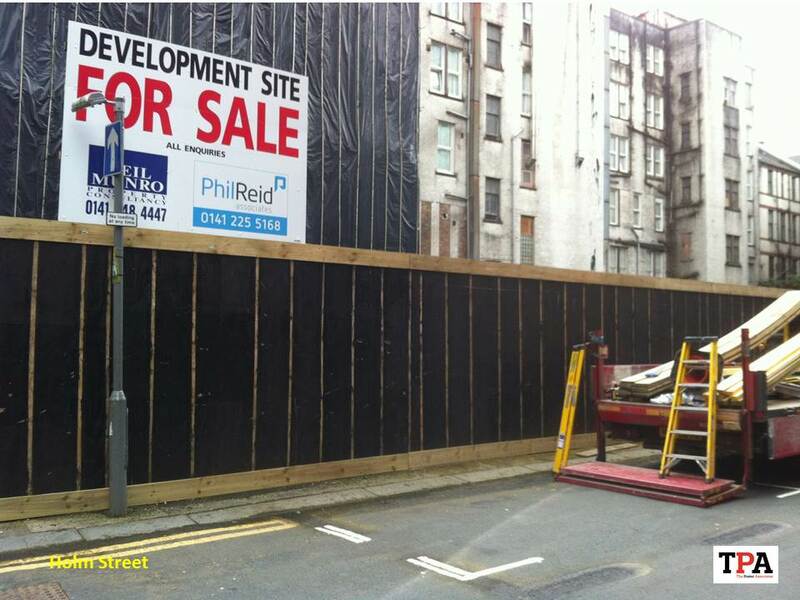 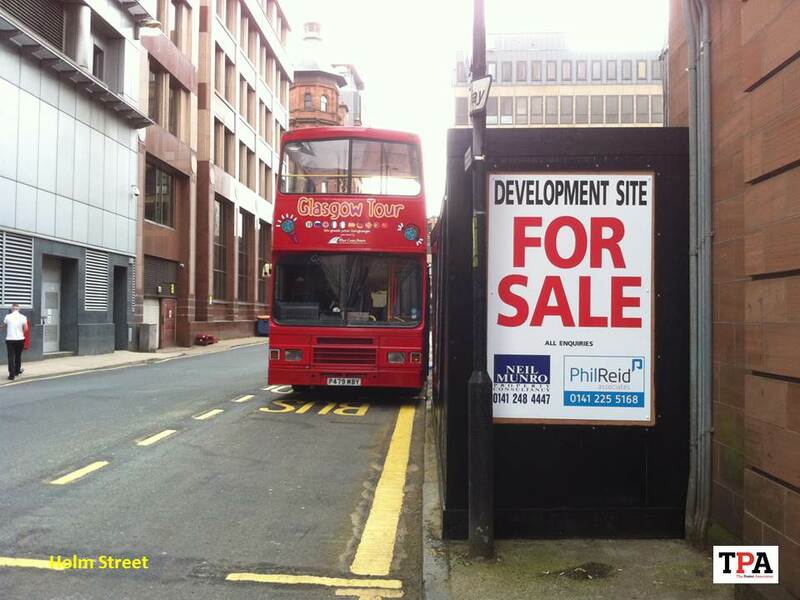 TPA is Scotland's principal developer of street poster advertising sites. 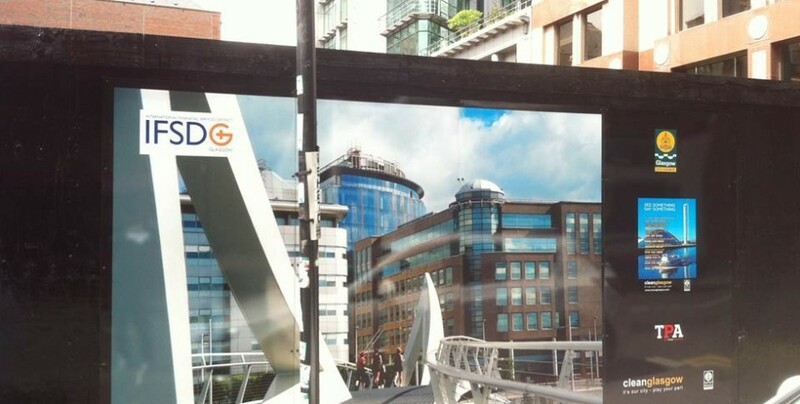 Experienced, innovative, unique and exceptional at what we do.